La Verrière | One quality, the finest. 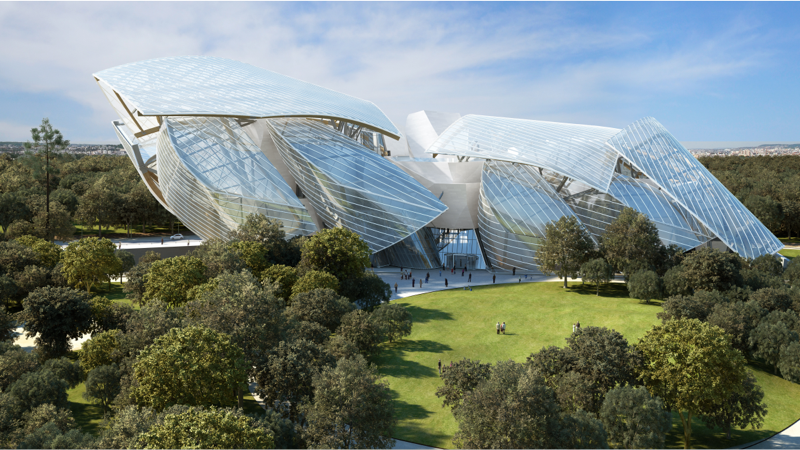 Later this month, on October 27, the Fondation Louis Vuitton will open its doors in the Bois de Boulogne. 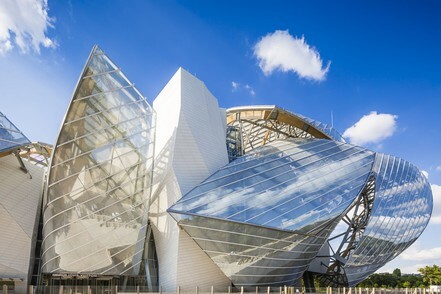 Architect Frank Gehry was commissioned by LVMH chairman and CEO Bernard Arnault to create an appropriate setting for the Foundation’s extensive art collection. The building, sheathed in glass, resembles a ship in full sail, moored in a reflecting pond. This is the perfect image, considering that Paris’ coat of arms features a ship, honoring the maritime heritage of those who first sailed down the Seine and founded what would become the most beautiful city in the world. Gehry refers to the glass shell as la Verrière (lah vare-e-air), which refers to a glass roof or wall. Inside, there are, indeed, solid walls on which to display all of the art. I’m not a huge fan of contemporary art, but when I’m next in Paris I’ll be heading to the Jardin d’Acclimatation to check out what are reputed to be spectacular views of the Paris skyline, if nothing else. This entry was posted in Architecture, Art and tagged Bernard Arnault, Bois de Boulogne, Fondation Louis Vuitton, Frank Gehry, Jardin d'Acclimatation, la Verrière. Bookmark the permalink. What a powerful, spectacular piece of architecture! Gehry does it again, and better than ever. Thank you for sharing. How are the plans for your next trip to Paris shaping up? Thank you! I was actually trying to come up with a better one but I’m half-distracted by the baseball game!